The pixie-dusted Disney Cruise Line fleet has doubled in size with the launch of the Disney Dream and Disney Fantasy. What hasn’t changed is what set Disney Cruise Line apart from its inception. On a Disney cruise, adults find relaxation and indulgence, children engage in immersive, magical adventures with favorite characters, and together as families they create memories that last a lifetime. Onboard a Disney ship, guests find a vacation experience they feel was created especially for them. The Disney Cruise Line ships—the 4,000-capacity Disney Fantasy and Disney Dream and the 2,700-passenger Disney Wonder and Disney Magic—are modern classics that celebrate the legendary ocean liners of the past while combining innovative technology with magical Disney touches to create extraordinary guest experiences. The moment guests are welcomed aboard, they begin a journey complete with legendary Disney service and attention to detail, incomparable entertainment and unforgettable dining. In short, an unparalleled vacation experience for every member of the family. On Disney Cruise Line, fun is always afloat. 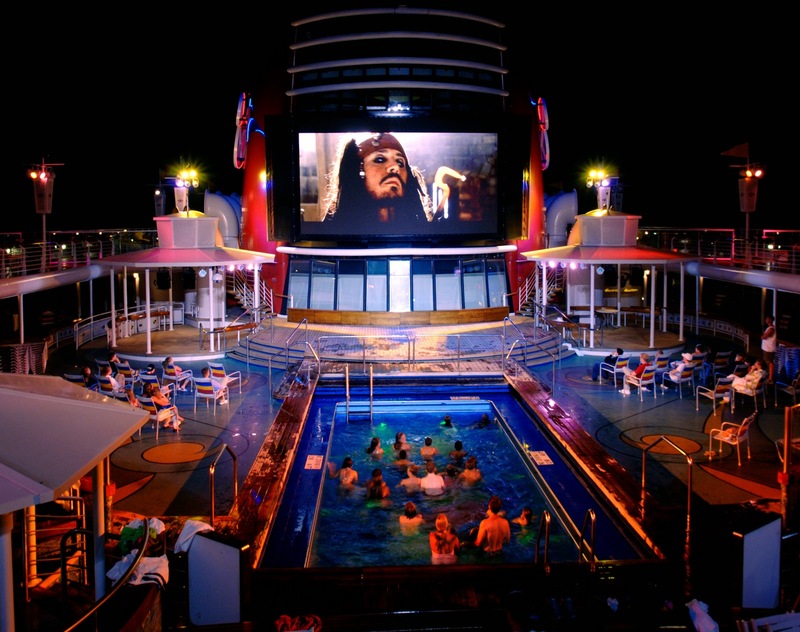 There is entertainment for all ages, day and night, including original theatrical productions, adventurous deck parties, fireworks at sea, movies on the deck’s giant screen, first-run films (including some in digital 3-D for the first time at sea), exclusive Disney character interactions and much more. Broadway-style musicals are presented nightly at the magnificent Walt Disney Theatre, a 1,340-seat performing art palace on the Disney Fantasy and Disney Dream, 977-seats on the Disney Magic and Disney Wonder. There are original productions distinctive to each ship, plus guest-favorite offerings that can be enjoyed on more than one ship. “Disney Wishes” (Disney Fantasy) is a 45-minute musical journey about three best friends who discover the secret to being a grown-up is staying connected to their inner child, and “Disney’s Aladdin – A Musical Spectacular” (Disney Fantasy) is a fast-paced musical comedy during which Aladdin is back as the “street rat” of Agrabah. “Disney’s Believe” (Disney Fantasy, Disney Dream) is a story about a botanist who discovers “family” is something far more important to tend to than his plants. “The Golden Mickeys” (Disney Dream, Disney Wonder) combines theatrical song and dance, animated film, video and special effects and many of Disney’s most famous characters to salute Walt Disney and his legacy of animation magic. “Villains Tonight!“ (Disney Dream, Disney Magic) casts a comical spell on the wicked and wonderful world of Disney villains. “Disney Dreams … An Enchanted Classic” (Disney Magic, Disney Wonder) tells a bedtime story featuring Peter Pan, Beauty and the Beast, Aladdin, Cinderella, Ariel and other popular Disney characters who together teach a young girl the power of her dreams. The toy-sized adventure of Buzz Lightyear and Woody comes to life in the delightful “Toy Story-The Musical” (Disney Wonder). 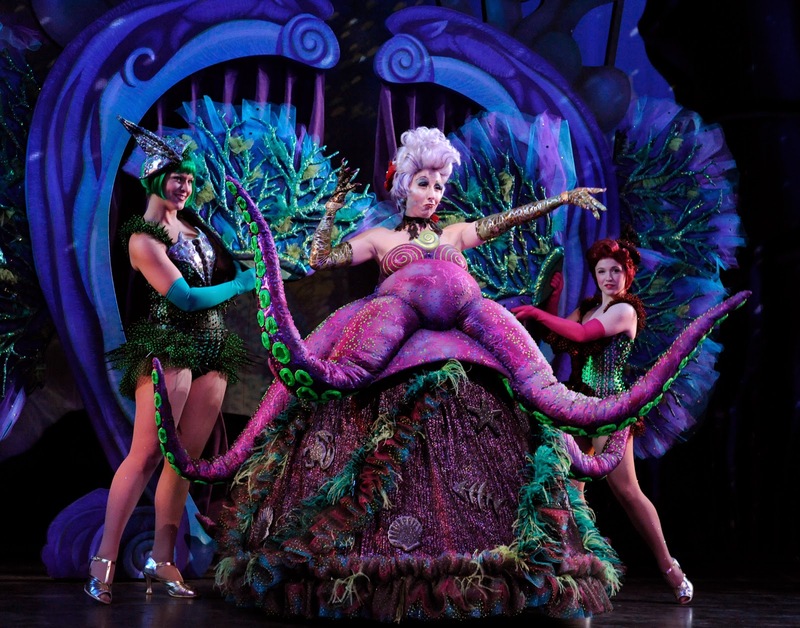 “Twice Charmed: An Original Twist on the Cinderella Story” (Disney Magic) immerses the audience in a musical fairy tale. 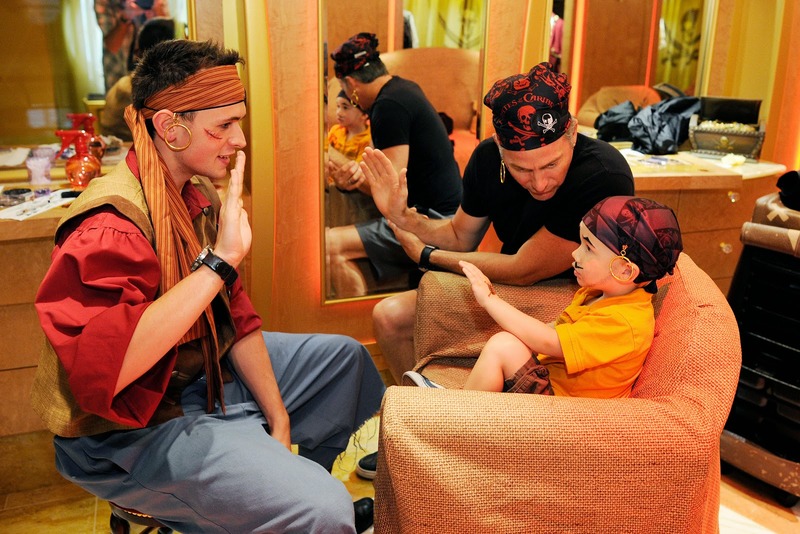 In addition to stage shows, Disney Cruise Line offers a host of special parties, including the adventurously themed deck party, Pirates IN the Caribbean. With stunt performers rappelling from atop the funnel, an epic battle at sea ensues as the good guys take on the villains. Characters such as Captain Hook, Mr. Smee, Captain Mickey, Minnie and Goofy join guests for a raucous good time, complete with music and dancing. And as part of the nighttime fun: a spectacular pyrotechnics performance—fireworks at sea like only Disney can do! Walt Disney Theatre hosts first-run Disney film premieres, allowing cruisers to enjoy a film’s opening at the same time it’s making its nationwide release on land. Buena Vista Theatre also shows first-run releases and Disney classics. Both state-of-the-art theaters feature Disney Digital 3-D technology, bringing a whole new dimension of cinematic entertainment to the high seas. Atop each ship’s forward funnel, Funnel Vision is a state-of-the-art, jumbo LED screen. Classic Disney animated features, movies, major sporting events and more are shown, as well as video presentations to enhance outdoor entertainment and deck parties by the family pool. There are also daily character greetings, variety acts and live entertainment throughout each cruise. Aboard Disney Cruise Line ships, it’s great to be a kid. Children can let their imagination sail free in nearly an entire deck customized just for them, tweens and teens have places to kick back and the smallest seafarers are cared for in a colorful space with an under-the-sea theme. Dedicated, age-specific areas and customized, interactive programs inspire, entertain and spark the imagination of children up to 17 years old. While children are enjoying the most extensive youth activity areas at sea, parents can enjoy the ship “worry-free,” thanks to complimentary use of wave phones that allow crew or kids to contact parents anytime and anywhere on the ship. Plus, all Disney Cruise Line youth activities are supervised by specially trained, dedicated counselors and feature some of the longest operating hours at sea, providing greater flexibility for parents and even more fun for kids. Infants and toddlers (ages 12 weeks to 3 years) are cared for and entertained with toys, books, crafts and games at Flounder’s Reef Nursery (Disney Wonder) and at It’s a Small World Nursery (Disney Dream, Disney Fantasy, Disney Magic). 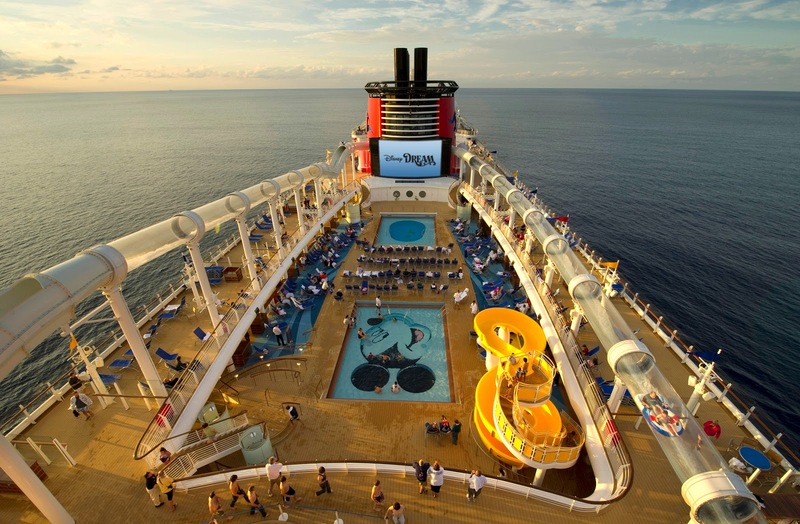 Disney Cruise Line’s babysitting services offer the longest operating hours of any cruise company. As an added convenience, all baby products needed for a Disney cruise can be pre-arranged and delivered directly to a guest’s stateroom upon arrival. Children can customize their vacation by choosing from a variety of activities. Disney’s Oceaneer Club and Disney’s Oceaneer Lab (ages 3-12) transport children to magical realms of adventure and exploration … Tweens (ages 11-14) enjoy video games, a multitude of hi-tech entertainment arts and movies in Edge. For the teens, Vibe (ages 14-17) provides an ultra-cool teen-only hangout. Vibe is the perfect chill-out spot with music, Internet access, plasma-screen TVs, MP3 players, games, karaoke and snacks. On the Disney Fantasy and Disney Dream, teens have their own private deck for fun outside in the sun. Disney Cruise Line offers adult cruise passengers upscale and sophisticated experiences designed just for them. From elegant dinners … to backstage tours … to the exclusive Quiet Cove pool, adults will find endless ways to relax and enjoy themselves in areas set aside just for them. Relaxation and rejuvenation take control at Vista Spa and Salon (Disney Wonder) and at Senses Spa & Salon (Disney Dream, Disney Fantasy, Disney Magic), where the only thing more indulgent than massage, body wrap and pedicure is enjoying a treatment in a “spa villa” complete with an indoor suite connected to a private outdoor verandah with personal hot tub and open-air shower. Palo, located high atop each ship, is a romantic fine-dining restaurant exclusively for adults. 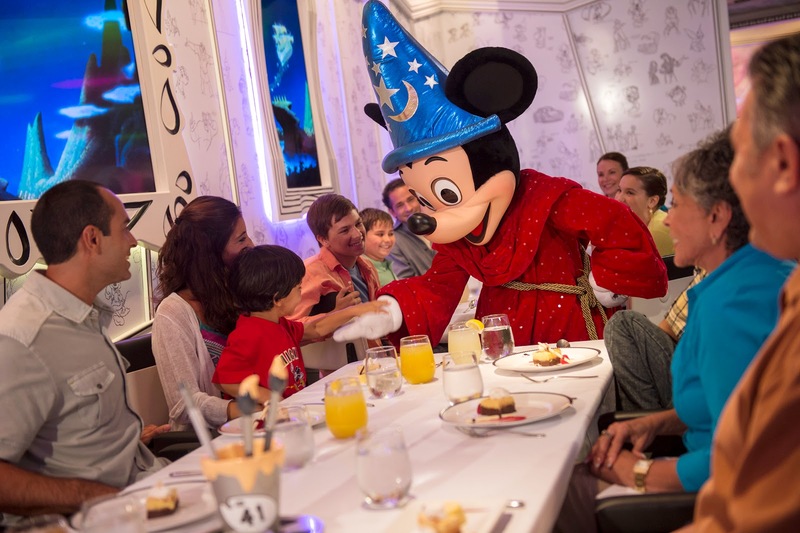 Remy (Disney Dream, Disney Fantasy) is Disney Cruise Line’s first premier adult-dining option. Meanwhile, Cove Café provides the perfect place to sit back and sip a gourmet coffee on all ships. After Hours (Disney Magic), Route 66 (Disney Wonder), The District (Disney Dream) and Europa (Disney Fantasy) are nighttime entertainment neighborhoods offering adults an array of entertainment in clubs and pubs each night. On Disney Cruise Line’s private island, Castaway Cay, adults have a beach all their own. At Serenity Bay, sparkling turquoise waters meet pristine white sand and two-person hammocks provide a peaceful place to relax. Private ocean-side cabanas are the ultimate venue for luxurious spa treatments. Uniquely themed restaurants are as delightful as they are delicious. While guests “rotate” through different restaurants each night, the same servers accompany them. This rotational dining takes guests through a variety of dining experiences and menus while providing friendly, familiar, personalized service each night. At Animator’s Palate, Pacific Rim flavors combine with California freshness and a host of other cultural and culinary influences. As an added treat, passengers enjoy dinner and a show. On the Disney Magic and Disney Wonder, animation scenes from Disney films magically come alive with color. On the Disney Dream and Disney Fantasy, the restaurant transforms into a shimmering undersea world where Crush, the sea turtle from the Disney•Pixar film “Finding Nemo,” swims around the room, conversing with and entertaining guests. On special evenings aboard the Disney Fantasy and Disney Magic, guests’ own drawings become animated. Carioca’s (Disney Magic) is inspired by the vibrant atmosphere of Rio de Janeiro. Parrot Cay (Disney Wonder) features flavors from the Caribbean. Enchanted Garden (Disney Dream, Disney Fantasy) is a casual restaurant inspired by the gardens of Versailles, featuring a seasonal menu of market-fresh ingredients. Elegant Lumiere’s (Disney Magic), Triton’s (Disney Wonder), Royal Palace (Disney Dream) and Royal Court (Disney Fantasy) combine the best of continental cuisine with casual elegance for breakfast, lunch and dinner. Adults may opt to dine at Palo, a premier restaurant featuring sweeping ocean views and modern Italian cuisine, and Remy (Disney Dream, Disney Fantasy), an exquisite, French-inspired gourmet restaurant. There are casual dining alternatives at Beach Blanket Buffet (Disney Wonder) and Cabanas (Disney Dream, Disney Fantasy, Disney Magic). Most Disney Caribbean and Bahamian cruises lead to the magical shores of Castaway Cay, a private island paradise exclusively for Disney Cruise Line guests, with activities and areas for families, teens and adults. On a Disney cruise, staterooms are family-size, immaculately appointed with a nautical Disney flair and smartly designed to let guests stretch out in style and comfort. As an added convenience, most staterooms feature a “split bath-and-a-half” with a sink and tub/shower in one room and a sink and toilet in a separate room.